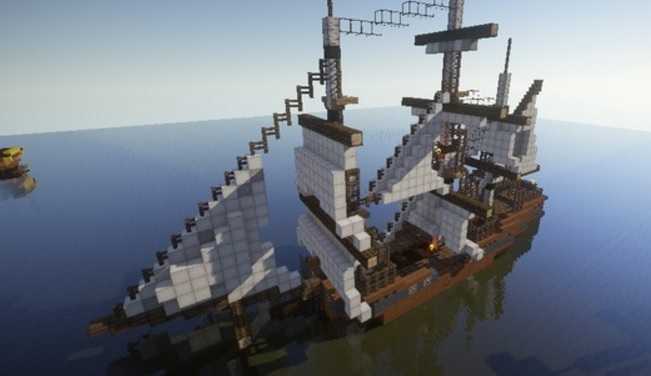 Davincis Vessels Mod 1.12.2/1.12/1.11.2/1.10.2 for Minecraft. 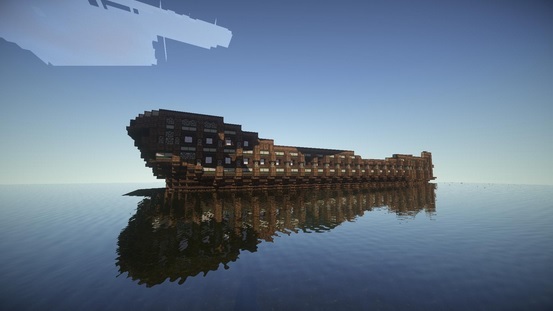 Firstly it is a rebirth of Archimedes Ships mod which was discontinued long ago. Secondly it is relaunched with some exciting new features in it. In addition to that ship characteristics will depend upon their build. If you create a ship with heavy block then will sunk more but If its created with balloons then it will fly. Moreover the newly developer is bk1325 who is very creative in his work. Furthermore there are several different blocks in this mod such as Ship Helm, Balloon, Floater, Seat, Anchor Point, Crate, Engine, Buffer, Sticky Buffer and much more. Especially relevant to the original mod there is same functionality for the flying ships. To get the mod working first you need to install Minecraft Forge, make sure it matches your game version. After installing Forge, download and save the mod .jar file to your computer. Now you need to open Minecraft installation directory. To do that, Open Minecraft launcher, click “Edit profile” and then click “open game dir” from the bottom. Now open “mods” folder, if you don’t find it, create one. Drop the mod JAR file into the mods directory. Do not try to extract or unzip it. Launch Minecraft using Forge profile. The installation will automatially continue.